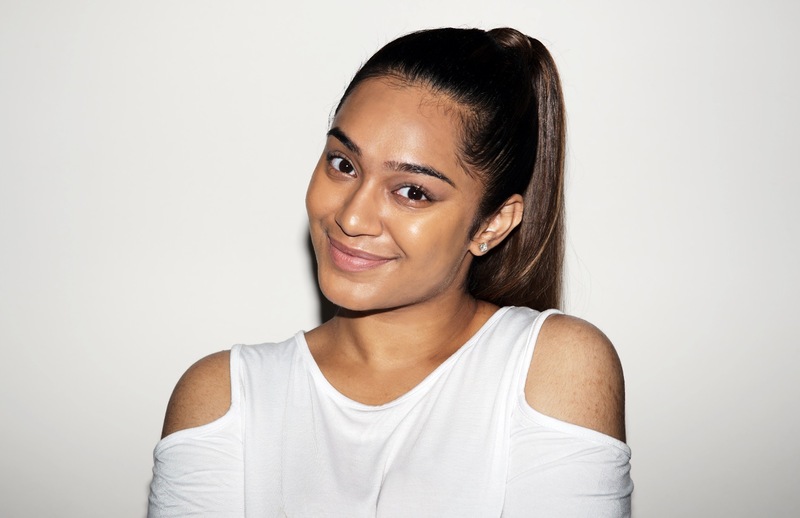 We all have our way of removing makeup; whether it’s with soap, face wash, micellar water, or even cleansing wipes. I swear by cleansing oil – but over the 22 years that I’ve been using this product, I’ve discovered so many girls who can’t get over the idea of putting “oil” on the face. Let me tell you why oil — it dissolves the makeup, dirt and impurities, resulting in a very clean face, and it does this gently. The key word here is gentle — cleansing oils don’t strip the skin of moisture. You know that “tight” feeling you get after washing your face with regular soap? That’s skin being stripped of moisture. You may think that that’s a good feeling — that your skin is “clean” — but that feeling is actually skin without moisture. And if you leave your skin like that for too long… you’ll realise that you start to feel uncomfortable and even itchy. Continue this every day and that’s when all the premature signs of ageing kicks in; like wrinkles, saggy skin and dullness. And by the way, cleansing oil isn’t your regular oil. It’s a completely different kind of “oily” texture; on first touch, it feels slightly oily, but once you add some water, it turns into a milky emulsion that washes away easily. Cooking oil will feel sticky and stays separated from water (and hence is very difficult to wash away); cleansing oil on the other hand dissolves and completely washes away, leaving behind skin that is clean and very soft. In my quest to educate and convert more people to the cleansing oil (and again, it has to be shu uemura’s! ), I’ve reached out to a few friends I know who wear lots of makeup, and would benefit from a great makeup remover. MANDI, FIONA and HANAN, makeup BY DEWI MAHONEY. Mandi and Sahur, HAIR BY JAMES CHIUN FROM PRO TRIM hair studio. This is Mandi. She’s a Flight Attendant who — naturally — wears a lot of makeup for work. As Dewi, our makeup artist for this shoot pointed out, Mandi has dry and dehydrated skin, which calls for the Ultime8∞ Sublime Beauty Cleansing Oil. This variant has a combination of 8 botanical oils to condition, nourish and protect the skin, and is the brand’s most luxurious and moisturising cleansing oil to date. It also happens to be shu uemura’s best-selling cleansing oil AND best-selling item, making it an extremely impressive product. I was very excited for Mandi to try this product because she’s never used a cleansing oil before! She tells me that she usually takes her makeup off with cleansing wipes. I can understand the convenience of wipes, but I can’t imagine Mandi has to remove her makeup on-the-go; so I actually feel a cleansing oil — which removes makeup much better than cleansing wipes — is perfect for her. We started off with a full face of standard-issue makeup colours for her job (and of course the iconic beehive — see above). 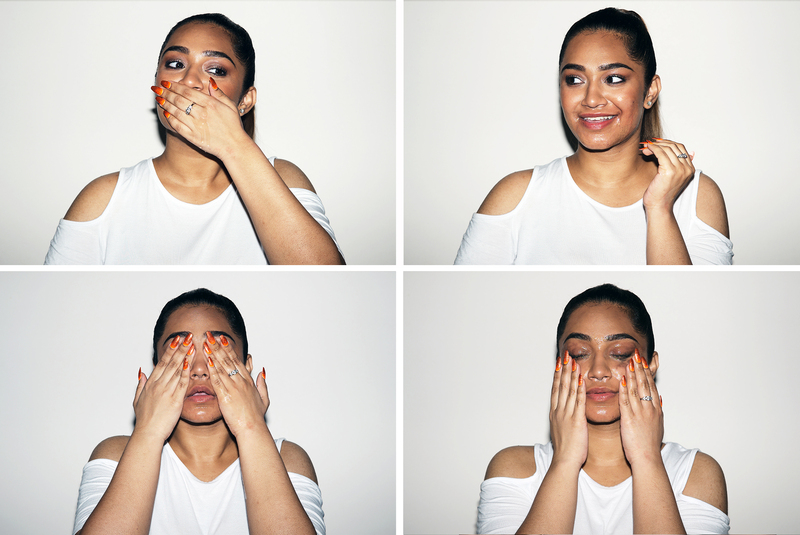 HOW TO USE: The method to remove makeup using a cleansing oil is quite simple — just use your hands. 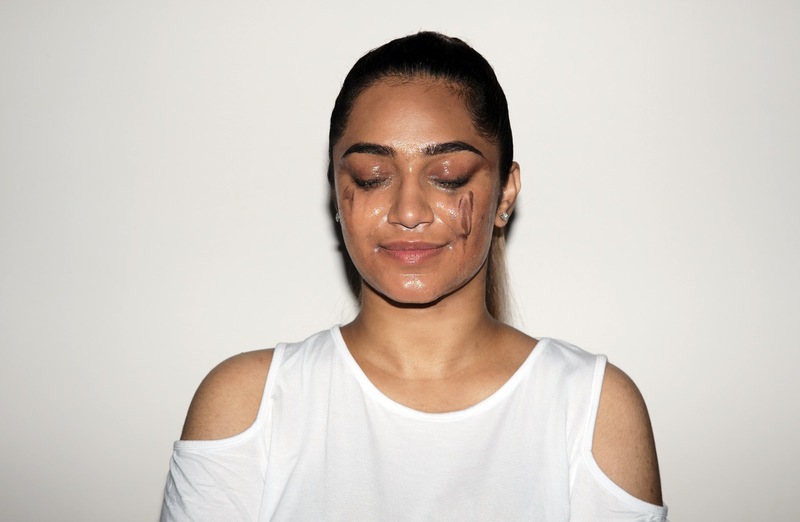 Spread the product around the face and massage it in, then add some water to emulsify (the cleansing oil will turn milky white), and then rinse off. This is Sahur. 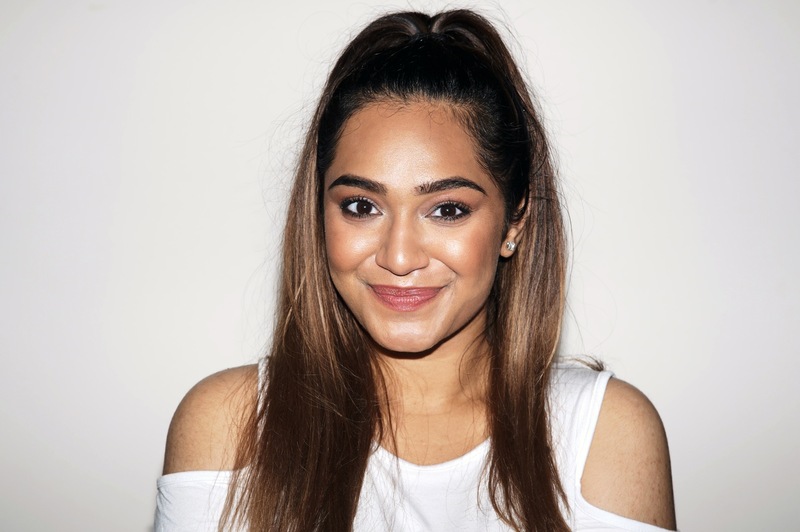 One look at her Instagram and you’ll know immediately that she loves makeup. Which made me extremely surprised to learn that she has never heard of the fabled shu uemura cleansing oil! And so I made it my mission to make her a convert. Sahur tells me that she has sensitive, acne-prone skin, so Sophia, shu uemura’s resident beauty advisor recommends the porefinist2 sakura refreshing cleansing oil variant. This pink bottle is good for oilier skin types and has a light, fresh, watery texture. Key ingredients include sakura petal extract and sakura sake extract — both of which are known for their anti-oxidation properties, and help skin cell turnover, which in turn reduce impurities accumulating on the skin. Here’s Fiona. 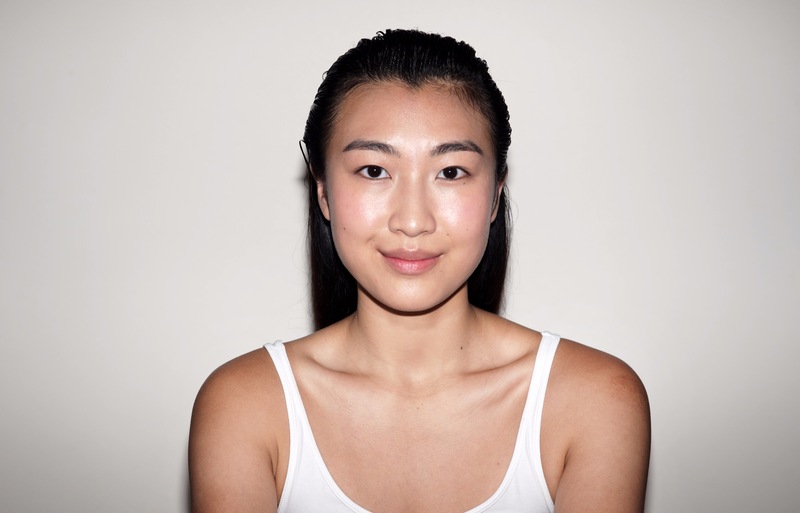 She doesn’t look like she has dull skin, and honestly, she doesn’t. But as a model and upcoming actress, she goes through tons of makeup looks each week, and all that accumulation of makeup will make the skin look dull over time. The new blanc:chroma lightening & polishing cleansing oil (which I also wrote about here) is perfect for deep cleaning Fiona’s skin, and this amazing new formula will even out skin tone and brighten skin over constant use. It’s also the only cleansing oil to include binchotan (Japanese charcoal) in its formula; which acts as a “super magnet” to draw micro-impurities out of the skin. Since its launch, I’ve finished an entire bottle and I love it; my skin does actually feel cleaner than usual. This is the third time I’ve photographed Hanan and this is what I’ve learned from our encounters: she’s blessed with an extremely youthful look (she needs to produce ID wherever she goes), but she’s a truly busy woman going through the same 9-to-5 as the rest of us. Which means her skin goes through the pollution from the environment, traffic, weather, and even the office — and to “detox”, I’ve given her the anti/oxi+ pollutant & dullness clarifying cleansing oil to try. 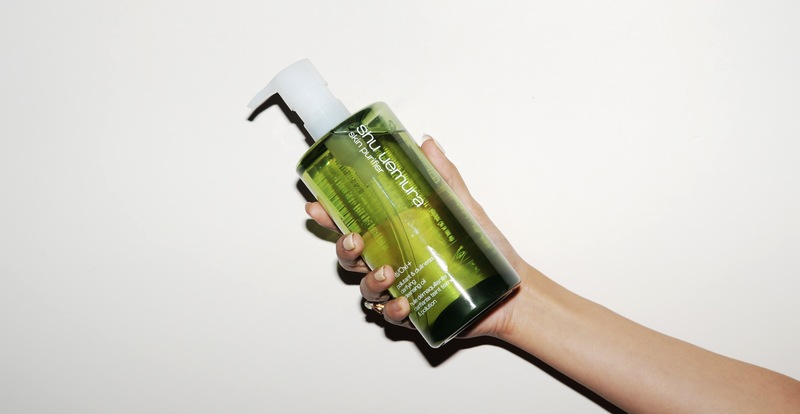 This formula has green tea, moringa, and papaya extracts, and is one of the more popular cleansing oil variants from shu uemura because of its anti-oxidant properties. above: hanan’s skin is glowing! shu uemura is also coming to a sephora near you! the brand will be launching at sephora westgate and sephora vivocity on 28 march 2019! 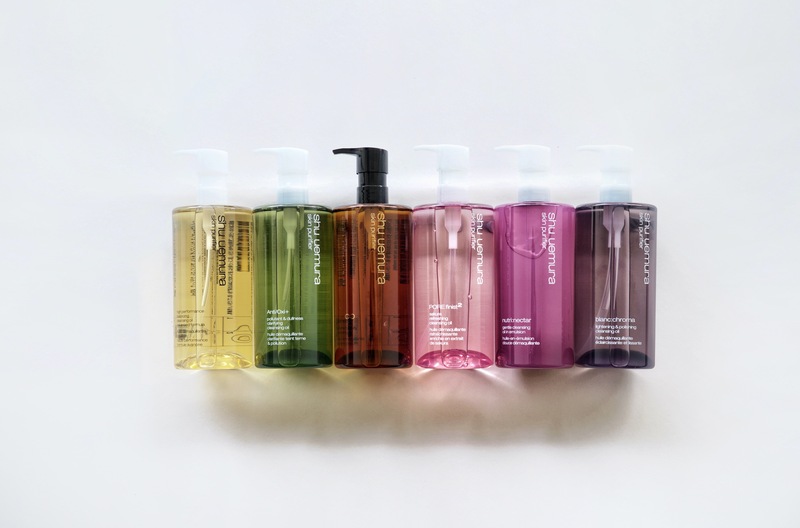 AND specially for nylon readers, follow us on INSTAGRAM or FACEBOOK to find out how to redeem free shu uemura cleansing oils (50ml deluxe size)!